Fall in LOVE with Fly Fishing... It May Save the World. There's some pretty heavy stuff going down on planet Earth these days... climate is changing at an unprecedented pace, water levels are rising, and we still can't seem to manage fish stocks with the future in mind. With all these concerns looming on the horizon how do we justify the arguably trivial pursuit of fly fishing? The reality is that fly fishing and outdoor recreation actually puts an economic value on some of our most precious natural resources. Slinging flies and climbing mountains may actually be the catalyst that saves our planet. In a paper presented in New Delhi in 1968 Baba Dioum wrote: "In the end we will conserve only what we love; we will love only what we understand; and we will understand only what we are taught." The more love and admiration we can cultivate for our planet's fish, animals, plants, and wild places the more power we will have to protect these wonders. There's no better way to connect with the outdoors than to immerse yourself deep into its natural rhythms. Fly fishing is a proven vehicle to take you there, to take you deep into the beautiful details of incredibly complex ecosystems. 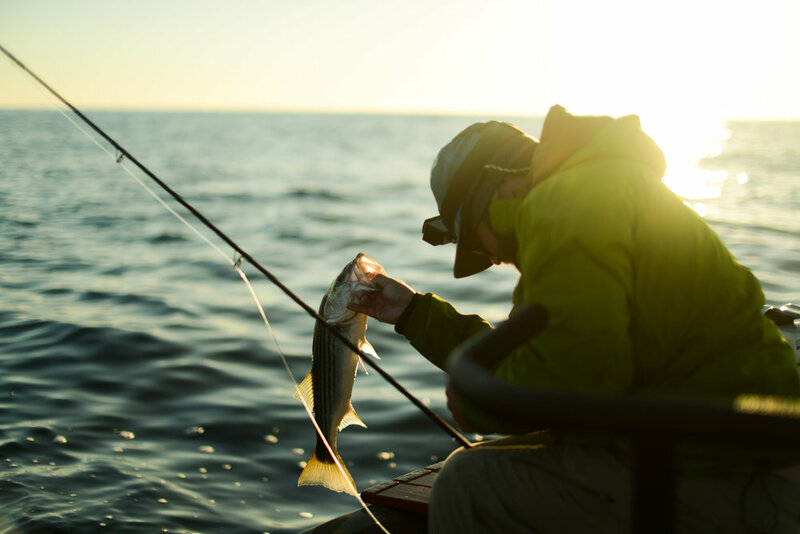 Fly fishing puts a distinct economic value on the time we spend outdoors and the fish we chase. This is important because economics drive the decisions of our politicians, big businesses, and the majority of our global community. If we can continue to elevate the value of our natural resources, they will become more important to everyone. How do we elevate the value of our natural resources? It's simple, all we have to do is get outside. Take a hike in the White Mountains of NH, ride your bike on the Kingdom Trails of Vermont, have a spring ski in Tuckerman Ravine, catch a striper from the rocks of Maine and watch it swim free. Just get out there, fall in love with something outdoors, and vow to protect it. Do a lot or do a little, it all counts, but the first step is falling in love because just like Baba Dioum said: "we will conserve only what we love".